Idol girl groups are becoming a trend in the music and entertainment industry these days. This has become quite apparent especially in the countries in Asia like Japan and Korea. More and more idol girl groups are forming and training to become one of the most popular ones in the entertainment industry. One of the promising idol girl groups in Japan at the moment would be none other than STU48. A sister group of popular girl group AKB48, STU48 is an idol girl group in Japan. The “STU” in STU48 stands for “Setouchi,” which is a region in Japan. STU48 also serves as the sister group of AKB48 that has its own shipboard theater, which is called a senjo gekijo in Japanese. On the other hand, numerically, STU48 is the 5th sister group of AKB48. 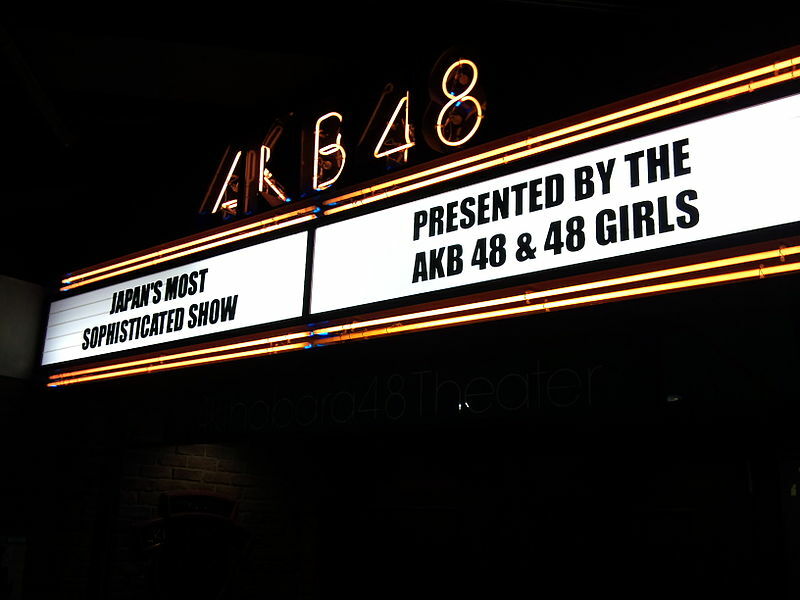 Regarding this theater, it would on a boat, which is a first for the whole group of AKB48 and its sisters. The plan for the theater is for it to traverse through several prefectures like the Yamaguchi, Okayama, Tokushima, Ehime, Hiroshima, Hyogo, and Kagawa Prefectures. An announcement regarding the 1st Generation members of STU48 was made on the 19th of March in the year 2017. Less than a year later, the debut single of STU48 entitled “Kurayami” was released on the 31st of January in the year 2018. 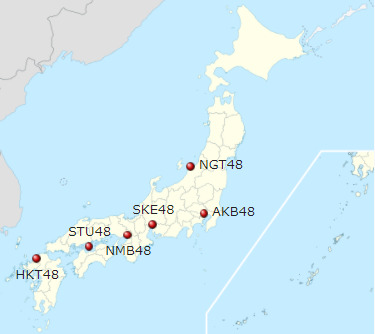 The other sister groups of STU48 aside from AKB48 are SKE48, HKT48, JKT48, TPE38, MUM48, SGO48, NMB48, NGT48, BNK48, MNL48, and AKB48 China. The activity period of STU48 began on the 31st of March in the year 2017. The producer of the group is Akimoto Yasushi while its theater manager is Yamamoto Manabu. STU48 performed under the record label of King Records. The first announcement regarding the formation of STU48 was made in October of the year 2016. Less than a year later, the first music video of STU48 was shown in June of the year 2017. Despite the several delays in construction, Yamamoto, the theater manager of STU48, happily made an announcement about the completion of the shipboard theater of STU48 on the 14th of April in the year 2018. The plan would be to start its operations in summer of the same year. The ferry where the theater is located is called Mikasa. It has a length of 77.8 meters and a width of 12.5 meters. The boat is to be under the operation of Iki-Tsushima Sea Line (ITSL). Previously, the boat served as a passenger ship as well as a roll-on/roll-off (RORO) cargo ship. This was before the boat was acquired by the management of STU48. A new name for the ship was vetted on the 11th of May in the year 2018. An announcement was made by the management of STU48 regarding a contest of choosing a new namesake for the boat. About 2,000 names were submitted to the competition and only 24 names were selected by the members of the group. Lastly, the fans would vote for the final name of the ship via Showroom, a streaming app, on the 30th of June. Finally, the name voted highest was “STU48-go,” which is now the new name of the boat. STU48 also has its own app called “STU48 Mail.” It provides a private mail delivery service where members of the girl group can send mails directly to their fans. The app also features true face-to-face behaviors as well as off-shots. STU48 also has a show entitled STU48 no Setobingo that fans can check out. Meet the Kenkyuusei Members 1 to 12: Chiho, Miyu (CUCA), Etc. STU48 has several Kenkyuusei (Research Students) members. First on the list is Ishida Chiho. Born on the 17th of March in the year 2002, her showroom audition number was 31. Her audition song was entitled “Yume no Kawa.” She was a former student of Actor School Hiroshima (ASH) as well as a former member of MAX♡GIRLS. She shares a friendship with Tanda Hazuki, a member of PALET as well as a former student of ASH. The second member of the team is Ishida Minami. Born on the 11th of October in the year 1998, her showroom audition number was 69. The third member of the team is Isogai Kanon. Born on the 1st of June in the year 2000, her showroom audition number was 70. She also went to audition for AKB48 and Nogizaka46 prior to passing the STU48 audition. The fourth member of the team is Ichioka Ayumi. Born on the 21st of August in the year 2003, her showroom audition number was 8. She also went to audition for AKB48 and HKT48 prior to passing the STU48 audition. The fifth member of the team is Imamura Mitsuki. Born on the 19th of February in the year 2000, her showroom audition number was 22. She was also a former student of ASH. Yamamoto Sayaka and Suda Akari are her favorite members. The sixth member of the team is Iwata Hina. Born on the 23rd of February in the year 2003, her showroom audition number was 2. She was the top 3 during the Showroom Auditions. She is known to admire Kojima Haruna. The seventh member of the team is Otani Marina. Born on the 14th of February in the year 2004, her showroom audition number was 10. The eighth member of the team is Kai Kokoa. Born on the 28th of November in the year 2003, her showroom audition number was 34. The ninth member of STU48 is Kadota Momona. Born on the 26th of August in the year 1999, her showroom audition number was 64. The tenth member of the team is Kadowaki Miyuna. Born on the 13th of March in the year 2003, her showroom audition number was 71. She was a former student of Alivio High Level Lesson School. She is known to enjoy dancing as a hobby. The eleventh member of the team is Sakaki Miyu. Born on the 28th of April in the year 2002, her showroom audition number was 36. Sashihara Rino is her favorite member of the team. She also has a Youtube Channel under the name CUCA since the year 2008. She used to post covers of idol songs in her channel. 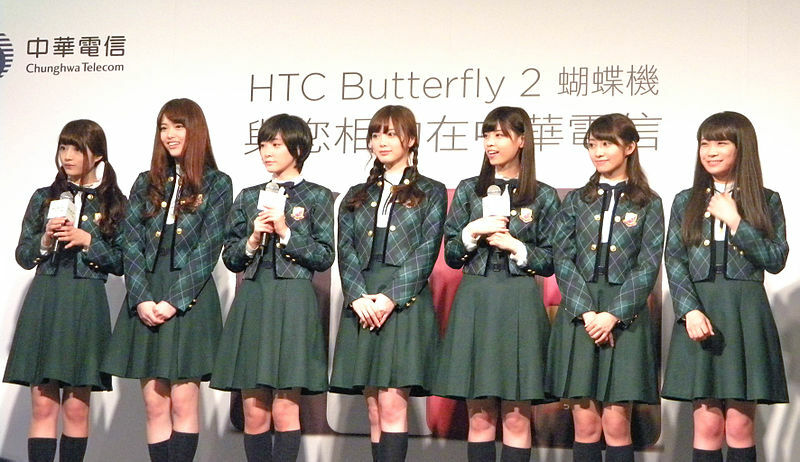 The twelfth member of the team is Sano Haruka. Born on the 16th of August in the year 1995, her showroom audition number was 75. She was top 2 during the Showroom Auditions. Prior to joining STU48, she served as a professional Showroom streamer. Excluding Kennin members, she is also the oldest member of STU48. The thirteenth member of the team is Shioi Hinako. Born on the 7th of January in the year 2000, her showroom audition number was 62. The fourteenth member of the team is Shintani Nonoka. Born on the 23rd of May in the year 2004, her showroom audition number was 23. The fifteenth member of the team is Sugahara Saki. Born on the 14th of November in the year 2001, her showroom audition number was 96. The sixteenth member of the team is Takino Yumiko. Born on the 24th of September in the year 1997, her showroom audition number was 29. Her talent is playing the saxophone. The seventeenth member of the team is Tanaka Kouko. Born on the 16th of June in the year 1996, her showroom audition number was 19. The eighteenth member of the team is Taniguchi Mahina. Born on the 3rd of February in the year 2000, her showroom audition number was 90. The nineteenth member of the team is Torobu Yuri. Born on the 24th of March in the year 1999, her showroom audition number was 17. Shimazaki Haruka serves as her oshimen. She loves Dragon Ball and likes eating ramen. She is also a big fan of AKB48 Group. The twentieth member of the team is Hyodo Aoi. She was born on the 18th of January in the year 2001. The 21st member of the team is Fukuda Akari. Born on the 29th of March in the year 1999, her showroom audition number was 47. She also went to audition for SKE48 with the audition number 34 prior to passing the auditions for STU48. Hidaka Yuzuki serves as her kami-oshimen while Takayanagi Akane serves as her ni-oshi. The 22nd member of STU48 is Fujiwara Azusa. Born on the 10th of May in the year 1998, her showroom audition number was 92. The 23rd member of the team is Mishima Haruka. Born on the 18th of April in the year 1998, her showroom audition number was 87. The 24th member of the team is Mineyoshi Arisa. Born on the 2nd of September in the year 2004, her showroom audition number was 25. She was also a former student of ASH. The 26th member of the team is Morishita Maiha. Born on the 4th of October in the year 2004, her showroom audition number was 3. She is the youngest member of the team. The 27th member of the team is Yano Honoka. Born on the 6th of August in the year 1999, her showroom audition number was 21. She is quite known in the group for her talent in singing. Finally, the last member of STU48 is Yabushita Fu. Born on the 7th of October in the year 2000, her showroom audition number was 68. Her older sister Yabushita Shu is a former member of NMB48. STU48 has three former members that have already graduated from the group. First on the list is Kuroiwa Yui. Born on the 11th of August in the year 2002, her showroom audition number was 63. She graduated on the 18th of November in the year 2017 so she can shift her focus on her studies. Second on the list is Ozaki Mami. Born on the 18th of December in the year 2000, her showroom audition number was 48. She graduated from STU48 on the 25th of March in the year 2018. Finally, the last former member of the group is Cho Orie. Born on the 18th of October in the year 2001, her showroom audition number was 93. She graduated from the team on the 13th of April in the year 2018 so she can also shift her focus on her studies. There are currently four draft members in STU48. The first one is Oki Yuka. Born on the 1st of December in the year 1999, she greatly admires fellow members Watanabe Mayu and Fukuoka Seina. She was the second choice at the Draft for the team. She also likes reading and writing. The second draft member of the team is Shinano Soraha. Born on the 9th of August in the year 2003, she admires fellow member Sashihara Rino. She has a skill in kendo. She was the 5th choice at the Draft for the team. Her nicknames include Soraha-chan and Sorarin while her fans are called Sora-ha, which stands for “Sora clique.” The other two draft members are Nakamura Mai and Mizoguchi Aiko. STU48 truly has a promising career ahead of them. With all the girl working hard and practicing constantly, their performances would surely improve as time goes by. It comes as no wonder that the group has already amassed a following of their own.